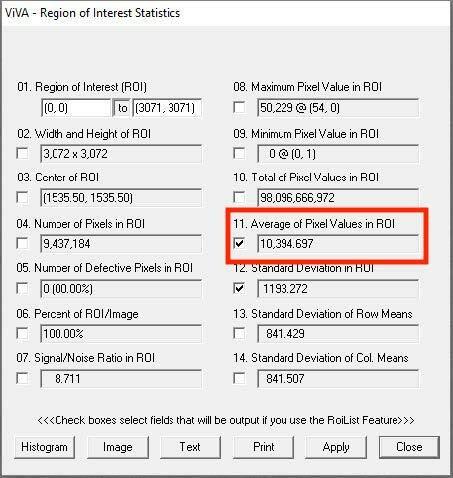 Gain calibrations reduce the variations in a clinical setting produced by the variety of x-ray machines, tables, and other components of the install. 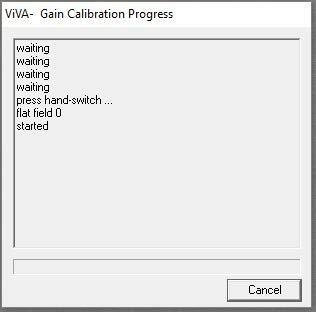 Depending on the type of panel you have, your Viva gain calibration will be different. Please choose whether you have an Auto Exposure Detection (AED) panel or if you have a generator integrated panel that uses a UIO Box. – acquire gain image 2.
calibration”. 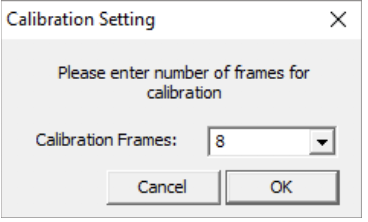 Close the Gain Calibration window. 17. There is no need to perform an additional gain calibration in the SmartDR software. Smart DR utilizes 2 programs to complete the gain calibration. The first is Viva, which allows us to adjust to the technique to obtain the correct settings. Viva also gives us the opportunity to check our plate for any inconsistencies. 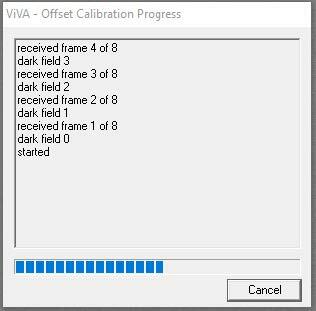 After a 3-shot calibration has been performed in Viva, continue to the Smart DR software to complete another 8-shot gain calibration. 6. With your technique set appropriately, fire an x-ray. 7. 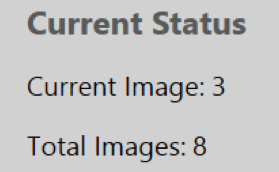 An image will appear on the screen similar to the one below. Ensure that there is no objects, etc in the x-ray field below and that the entire plate is covered. If you have any regularities, remove them and repeat steps 5 & 6. Older versions of the Varian 1700 panel may calibrate different. Please contact tech support if you have a different panel/computer than listed above. If your average value is off, please adjust appropriately and repeat steps 5 & 6. 9. 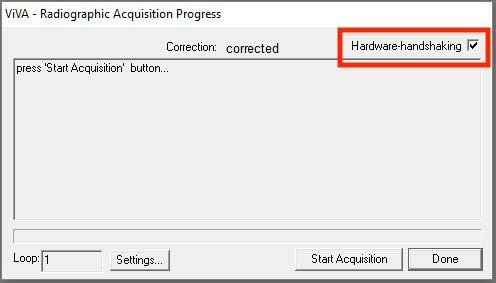 From the Acquisition menu, select Gain Calibration or press F4 to start your Gain Calibration. This will be a 4 shot gain calibration. NOTE: This message indicates that the plate is ready for exposure. You will you will activate the x-ray machine by pressing the Sound foot switch. 11. 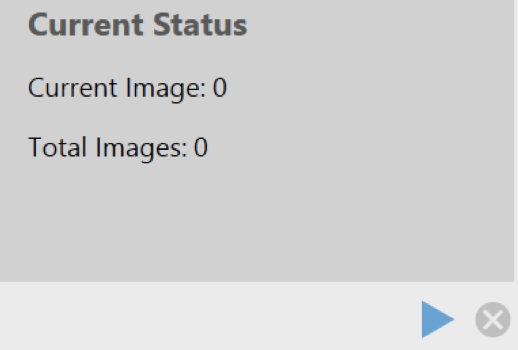 After the shot, the status box will read “Click the ‘Finish’ button or initiate next exposure(#2). Wait until the Finish button grays out and fire again. Repeat this until you have reached 4 shots. 12. At the end of 4 shots, press the Finish button. 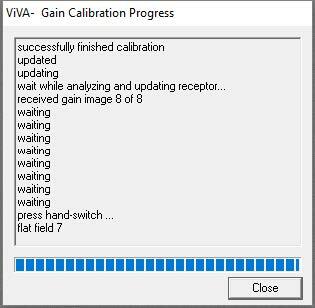 The status box will read “Gain Calibration is Done.” Note the Gain Median number in the Calibration Statistics. 11. Click the Acquire button or press F5 and take another exposure at the same technique. Your image should show as a “milky, uniform gray.” If you see any regularities check for any objects in the plate, collimator, etc and redo your gain calibration. 13. 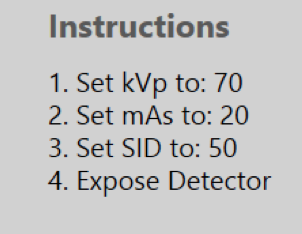 Re-open SmartDR by double clicking on the icon and proceed to the steps below for calibrating in Sound Smart DR.